Did the Imperium of Mankind suffer a coup during the events of Gathering Storm? Gathering Storm was something of a big experiment for Games Workshop. This series of three books was the first time the Warhammer 40,000 background has significantly progressed in sometime. The books chronicle a number of galaxy shaping events. These include the death of a number of important figures, the destruction of worlds, the galaxy being torn asunder by the forces of chaos and the return of a Primarch, events that not only serve to advance the timeline but set the stage for the grand conflicts to be played out in the upcoming 8th Edition. But what if, among all those portentous events another, greater, occurrence went unmarked by most. What if, despite outward appearances, the Imperium of Man fell. 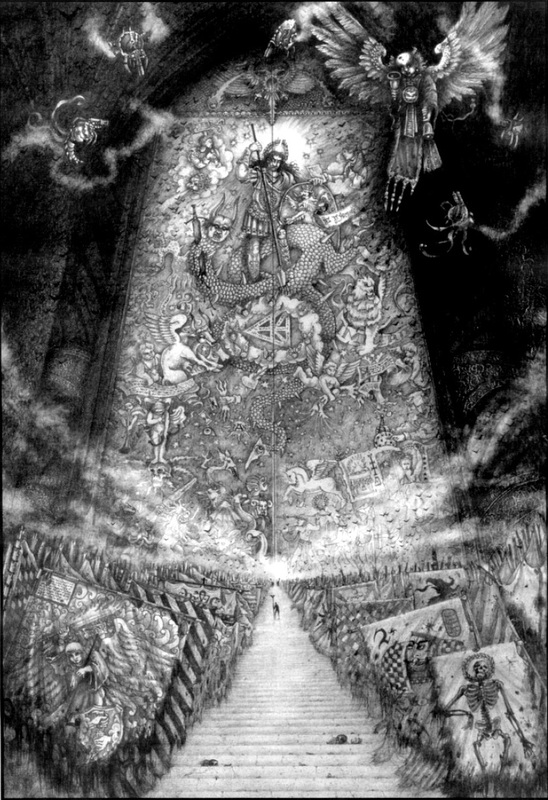 Is it possible that after enduring for 10,000 years the Imperium as we know it was destroyed, not by the hordes of the Ruinous Powers, but from within by treachery. In order to contemplate this astounding possibility let’s first take a quick look a few key events that took place during Gathering Storm. Here, in short are a few of the Important events of the recent past. -Abbadon’s 13th Black Crusade unveils it’s true might and moves once more to attack Cadia. -A previously unknown (to us) Archmagos Belisarius Cawl arrears at the height of the crusade. Though he first shows up a dig site on an abandoned world he has, it turns out, in fact spent the last 10,000 building two artifacts. These are later reveled to a suit of armor that bring a the Primarch Guilliman back from near death and the Primaris Space Marines. Supposedly Guilliman asked Cawl to work on both these projects. Cawl however notes that his memory banks are fuzzy that far back. -The Eldar Shadowseer Sylandri Veilwalker shows up to help and guide Cawl. It is shown that she can not only manipulate Cawl’s memory but can compel him to take certain actions. -The Necron lord Trazyn the Infinite decides to take a part in the upcoming events, on the Imperial side, and unleashes Inquisitor Katarinya Greyfax to help Cadia. Later he personally aids Cawl. – A number of other Imperial Heroes join the defense of Cadia, including Celestine, the Living Saint. -Trayzn and Cawl join forces to try and active the Cadian Pylons to their full potential. 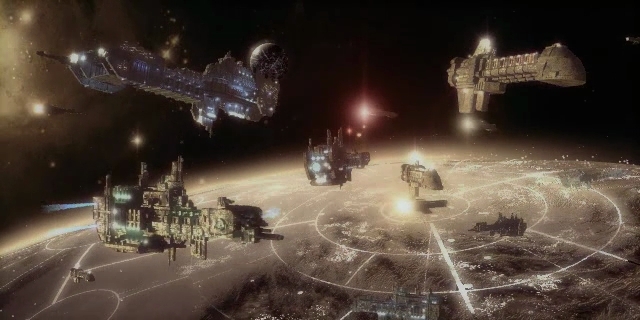 -Cadia falls and the Galaxy is ripped apart. -The survivors flee hoping to get to Macraggge and awaken Gulliman. -Pursued by the Forces of Chaos the Imperials are again aided by the Elder, both Veilwalker and the newly awaken Yvraine, prophet of the new Eldar God of the dead. -After much toil and death Guiilliman is awakened by the efforts of Yvraine and Cawl. 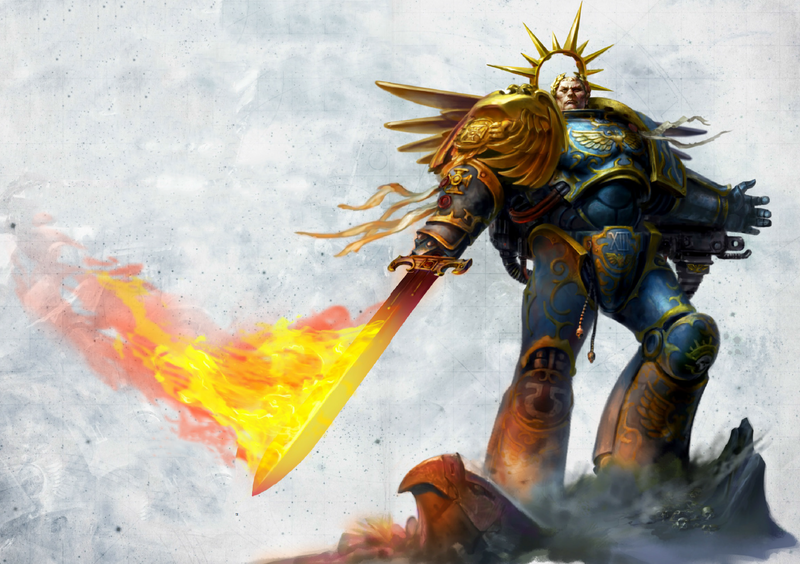 -Guilliman retakes the Realm of Ultramar and eventually makes his way to Holy Terra. -Guilliman meets with the Emperor and takes on the Mantle of Lord Commander of the Imperium, declaring a new Crusade to drive back Chaos. Soon after he reveals the Primaris Marines. In many ways the most important event is the last one. It is also the most mysterious. The meeting, for the first time in 10,000 years, of the Emperor and his son Guilliman is a momentous occasion. And yet of this meeting, a turning point for the galaxy we know only two things. One that Guilliman and his father met alone for an entire day. And two, that after the meeting all the Primarch would say was “that he had received all the enlightenment that he required“. In the aftermath of this meeting Guilliman takes effective control of the Imperium, going so far to reorganize the High Lords of Terra. 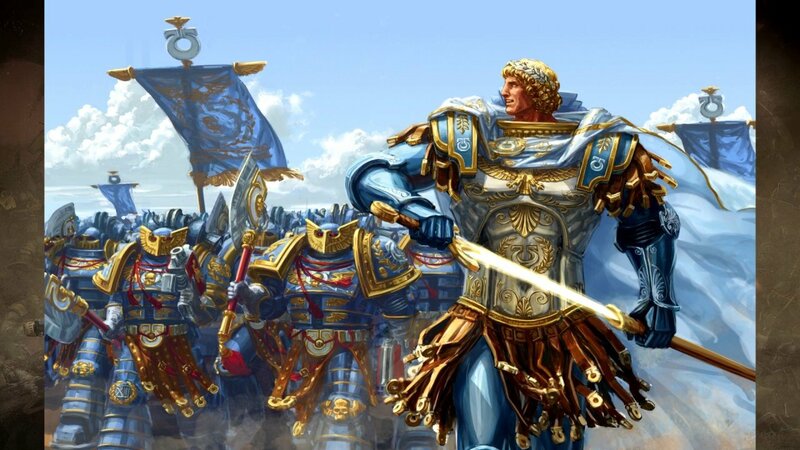 The return and rise of Guilliman is a turning point for the Galaxy. There are however, as a review of the past events shows, a number of suspicious things about the events leading up to his return and meeting with his father. The meeting itself is also suspicious as we know nothing about it other than it took place. So, what really happened during that meeting? And is Guilliman, the Avenging Son, really carrying out the will of his father? Well lets take a look at a few of the options. Warhammer 40,000 is not always the most subtle setting. Often what appears to be happening is what is really happening. Given that its possible that the simplest option is also the most possible. We are presented with a number of events that seem coincidental, or divine, in nature. Ultimately these lead to an alliance between humans and Eldar, with some Necron help, to bring Guilliman back to lead to mankind in this darkest hour. It is presented as if Guilliman then met his father, caught up with him, heard his will and has now gone out to enforce it. Maybe this is exactly what has happened. The Emperor is still in charge, or in change as much as he has been for the past 10,000 years, and Gulliiman is now his strong and loyal right hand. The Eldar aided all these to build the Imperium as a bulwark against Chaos and had no further plans or schemes. Guilliman and his father now stand before the tide of darkness united. This is a strong possibility for what happened. I however find it doubtful. It is overall too obvious and too simple. So lets look at some of the options – what if an Imperial coup took place? 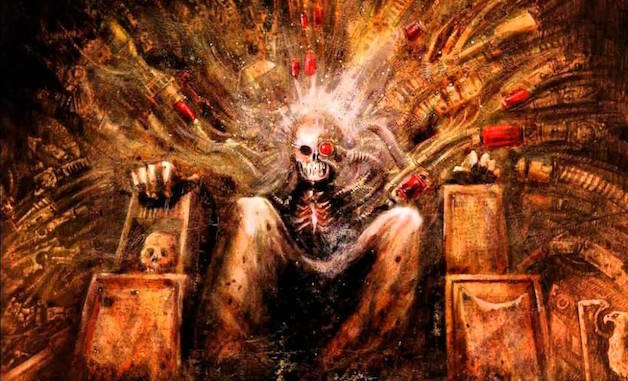 At one point Guilliman even thinks “Better that we had all burned int he fires of Horus’ ambition than live to see this.” Though he does at least repent of those last thoughts. Later, upon reaching Terra Guilliman is dismayed and unnerved by all he sees there. The religious idolatry and baroque horrors of the Imperial bureaucracy are anathema to him. Then Guilliman is comes before the Golden Throne. 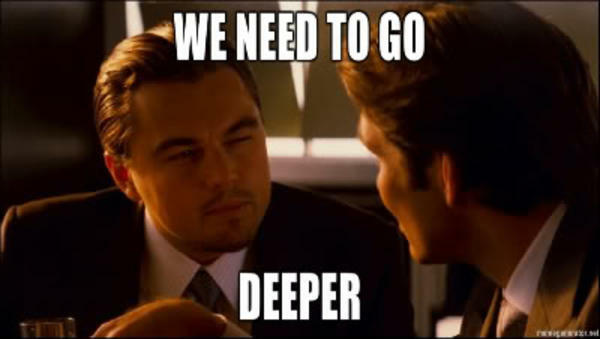 What he finds there is unknown. Much debate and mystery surrounds the status of the Master of Mankind. How alive, how awake is he? How does he rule his domain? 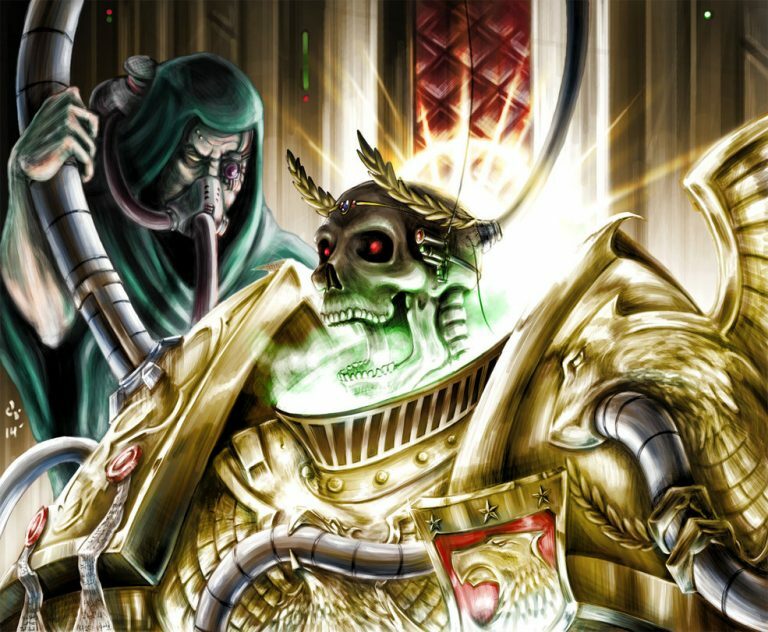 Some argue that he is effectively dead already, that the Golden Throne itself does all the work of powering the Astronomicon and keeping the Webway Portals on Terra closed. Some say the Emperor is trapped between this half life and rebirth by the Throne. It’s not really known if he can, “talk” with people at all, thought this seems unlikely. So what “enlightenment” did Guilliman receive from his day long vigil? Maybe they did talk, or commune, and all was worked out. More likely Guilliman found the Emperor incapable of communication. 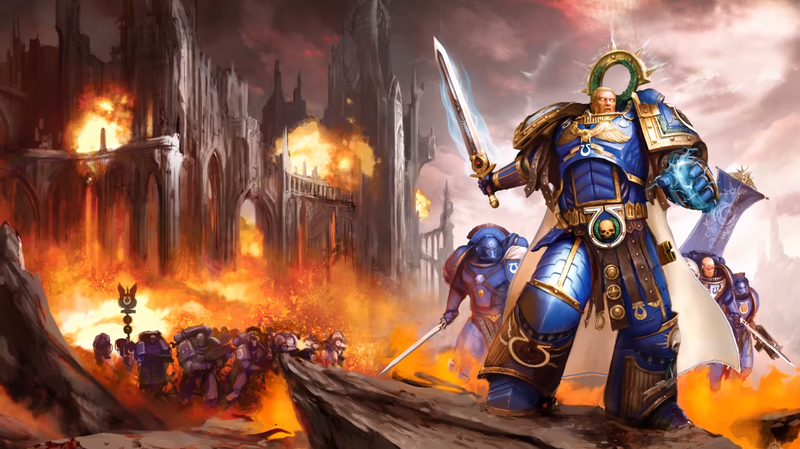 In this case Guilliman has decided to preserve the fiction that the Emperor is ruling, while in reality Guilliman is in charge. There is another possibility however. It is not inconceivable that Guilliman slew the Emperor. Maybe he did so out of mercy. Either to end his fathers suffering or to allow for his rebirth, it could be conceived as a last loyal act. Or maybe he killed his father out of sorrow or even rage. Or a sense of betrayal. Guilliman may have wanted to set the Imperium back on it’s original path. One from which it had, at the Emperor’s guidance diverged. Horus, greatest of the Emperor’s sons, was brought to Rebellion by the mere vision of the future Imperium. 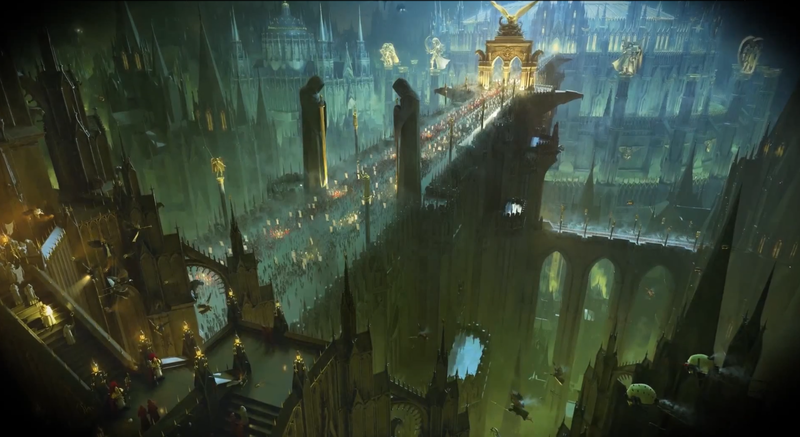 Could not Guilliman be brought to the same act by seeing that dark future first hand? Maybe in that moment standing before the abomination on the Golden Throne Guilliman understood Horus at last. It does seem that the Emperor’s death would have had a more immediate physical and psychic effect, unless he was already dead, than the nothing we are presented with in Gathering Storm. There is the possibly that the Throne now works without him. After all he is not the only who can make it work, Malcador the Sigillite was able to operate it for a time during the Hersey, though it cost him his life. It is also possible that Archmagos Cawl was able to come up with some new device to operate it. Still it does seem that the Emperor’s death would have been showy, something like: “All of them were alone, bereft of even the guiding beacon of the Astronomican as the Emperor’s Light Blinked – and then vanished.” That’s right, as the 8th Edition rule books revels, sometime after Guilliman’s return the Astronomican did in fact go down. In addition 88 Khorne daemon legions were able to attack the Imperial Palace, something that was impossible before. While the Astronomican is now back, it is weaker then before and flickers, almost as someone else is sitting on the Throne. While the timeline for all this is a bit fuzzy, it does all happen after Guilliman reaches Terra. Was it the coming of the Great Rift, or Guilliman who caused all this? 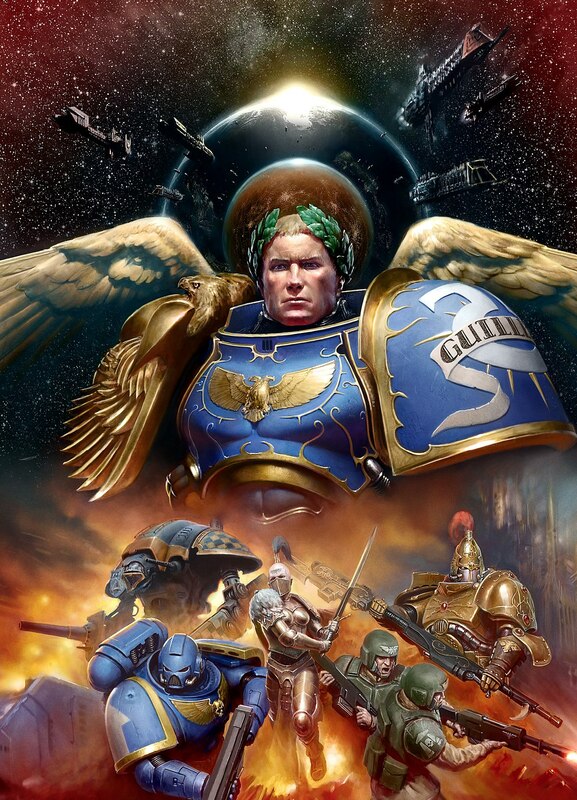 It is equally possible that if Guilliman took control it was with a silent coup, while leaving the Emperor still “alive”. I would even go so far as to say that Guilliman’s coup is established fact. His firing of several High Lords of Terra and assuming supreme command are a fundamental reordering of the Imperium. These acts are taken on his own authority and with the assumed blessing of the Emperor. But really they are all Guilliman. With no one to stop him, he siezed control, it is now Guilliman’s will, not the Emperor’s that matter. So there you have it. A number of suspicious events lead us to asking some big questions. 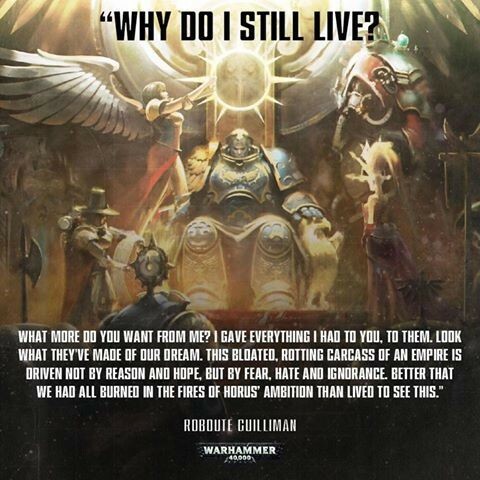 Did Guilliman supplant the Emperor as the Master of Mankind? Is the Emperor even still alive. . All of these possibilities loom before, its up to you to decide what you believe. Of course, as with all good secrets, there is another, dark layer to this conspiracy. 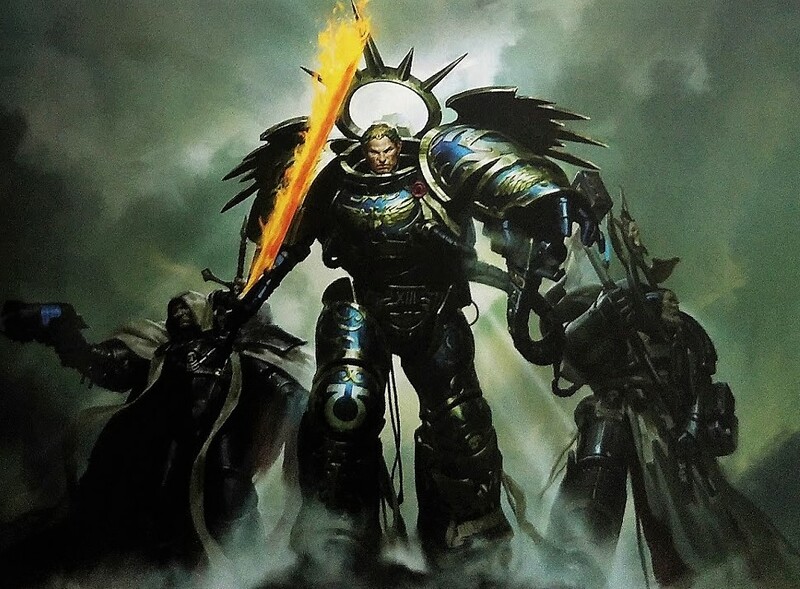 If Guilliman did overthrow the Emperor, is he truly in command himself? We will explore this possibility next time, in part 2.
Who really rules the Imperium? Find out tomorrow in part 2.